Capture the attention of pet-loving clients – and potential customers. 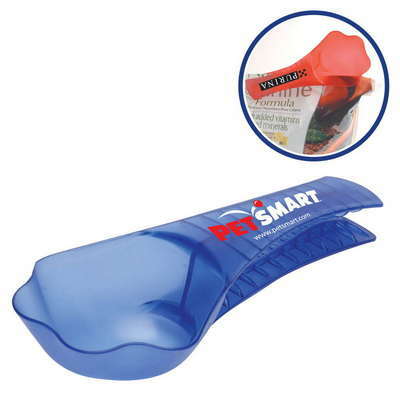 Cater to their love of animals with specialty pet-themed promotional giveaways. People love their pets! Last year alone pet owners pent nearly $62 billion on their furry friends. Turn that love into a lasting impression for your own business. Whether you are in the animal industry, or some other business, pet related giveaways can help you connect with animal lovers and keep your name in the forefront of their minds. 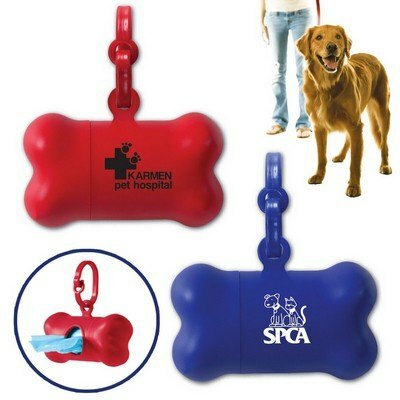 S what types of promotional products o pet owners enjoy? Everyone loves to be handed something they can really use. 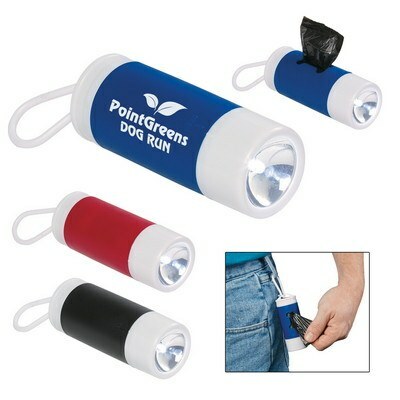 This handy waste bag dispenser with flashlight is popular amongst pet owners. It easily clips to the owner’s belt loop, making clean-up a breeze. Plus, the built-in flashlight offers an extra safety measure while walking pets at night. Placing our logo on such a practical gift allows pet owners to remember your company name easily since it is a product that will be used again and again. Anyone who travels with a pet knows how important having easily accessible water and food bowls are. A simple collapsible bowl is easy to transport and store, making it a favorite among pet owners on the go. Simple add your brand and logo for an instant advertisement. 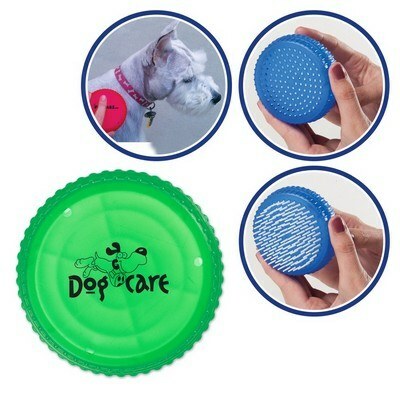 Help that pet owner pamper Fido with a massaging pet brush. Adorned with your company logo, this practical gift will grab attention – and appreciation. 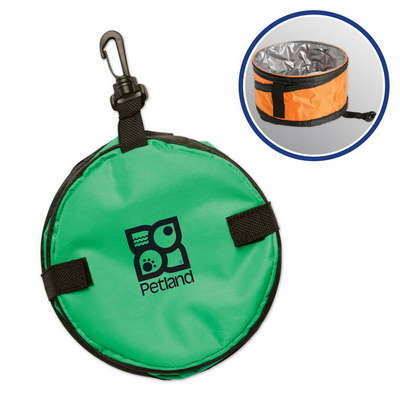 Every time a customer scoops out their pet’s food, they will see your logo on this handy scooper/food bag clip. Food scoops can be used to highlight your business logo in a practical gift. With nearly 220 million pets in the United States alone, it makes sense that the savvy promotional leader would target this worthy group with practical, fun, and enticing promotional giveaways. 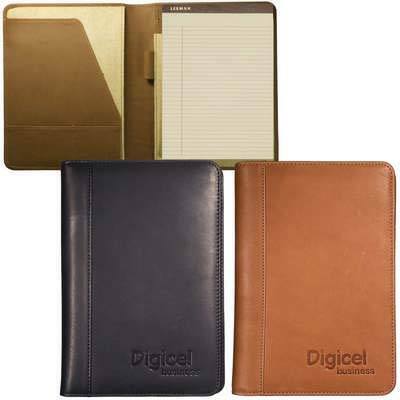 Leather is a popular promotional product being it always looks good, feels good and most importantly, it out performs any man-made material. Most top quality leather goods will last for years, if not a lifetime with proper care. Canyon Outback Leather goods shown here offers a lifetime warranty on all products! 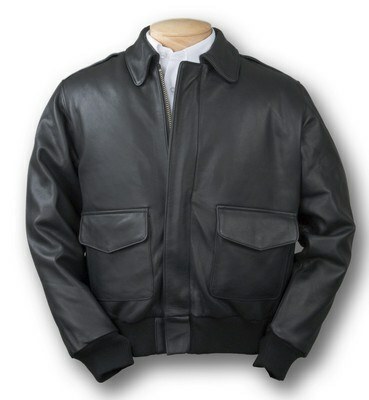 One of our Account Executives shares her recent case stories; she has a customer who will order a leather jacket for their employee whenever they reach a certain milestone, such as, flown so many miles as a pilot and another who gifts a duffel when a club member of International Optimist reaches “elite” level. She also says she has certain customers that will only want leather meeting folders to hand out as gifts because of the quality and durability. When you choose gifts that are high quality and useful, you know you are leaving an impression that will last for years. The value is priceless, especially when we add the imprinting and personalization option that is available. The imprint or personalization with leather is a readable, deep and dark deboss. It is without question, the finest in the industry. Think about your customers of today. Leather is a great business gift, service award, and performance incentive or recognition award. 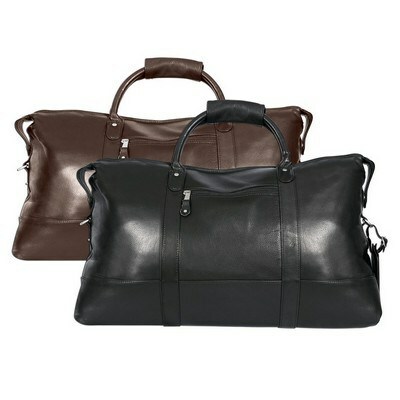 We just sent off a very large order for customer on this Falls Canyon Cabin Leather Duffel below. The customer gifted their entire sales force for a national meeting. They found it the perfect GIFT for their beloved employees and then filled the bags with new products for mid-year annual product launch. Leather is something you have to feel and smell to sell. Contact us today for your sample, quote or product suggestion! Not only is golf a great pastime, but it is also something that is growing in popularity in the United States. In fact, there are almost 29 million people who play golf in this country and the number is rising. Of those 29 million, 78 percent are male and they have an average age of 46. They also have an average household income of $95,000. Those statistics are enough make any marketing expert want to use golf promotions to their advantage. In fact, spring is one of the best times of the year to make golf promotions and events a priority, especially with events like the Masters happening. With so many golfers in the US, it only make sense to make golf promotions and events a priority. Use these tips to get started. Even if you do not currently work in a golf business, there are many ways you can branch out and incorporate some golf promotions into your business. One popular way is to host a golf event for your business at a local golf course. You can sponsor a day at the golf course in your local area and work with the golf course to make it a fun day for all. You can event include promotional items for the day such as golf bag water coolers and golf balls and tees for the players. 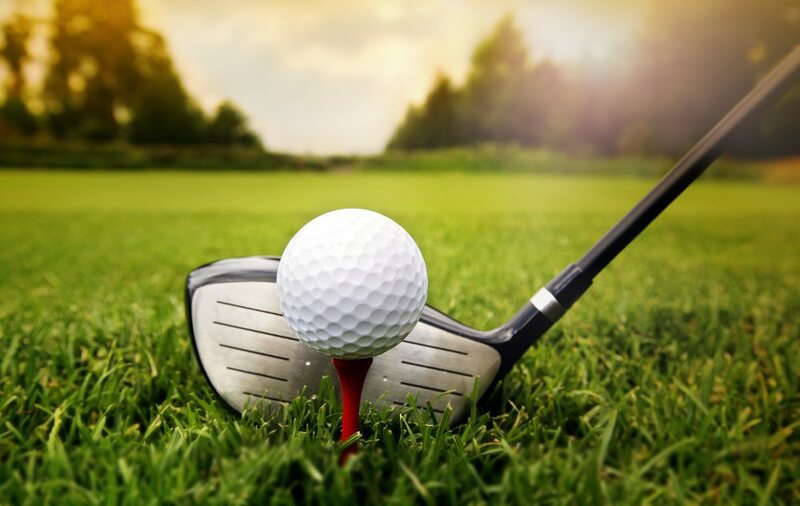 If you do not want to go through the hassle of planning an event, you can run a golf themed contest with your current customer base and have the grand prize golf related. This will attract active golfers and golf enthusiasts and you can use this to increase your customer base with affluent golfers in the area. While spring is the time to really get things going with a golf promotion, there is actually a very long season for the sport, April through October. This provides you with ample opportunities to cash in on the golf lovers in your area. It also allows you to work out special deals with local golf courses to get people in on the off season. Contact us at Promotion Pros for all of your golf related promotion needs and we will help you find the perfect products. Charity events are a lot of fun and they are in support of great causes. Everyone loves it when a charity event is successful but before that can happen, a lot of marketing must be done. There are great ways to market a charity event but before you begin marketing, be sure to know your target audience and what your message should be. Once you have those figured out, use these tips to reach your market. Write a Press Release. Press releases are free ways to get your event in the public eye. Send the press release to all local markets. There is no guarantee that it will be published but if it is, you spent no money on it and just a little bit of time. Get Media and Local Sponsorships. Many businesses set aside a budget every year for charities. If you ask some in your area to sponsor your event, you may be surprised by how many are willing to. Make sure that you require them to post a sign for your event or do some other task to help you get people signed up and get the word out. Use Social Media. 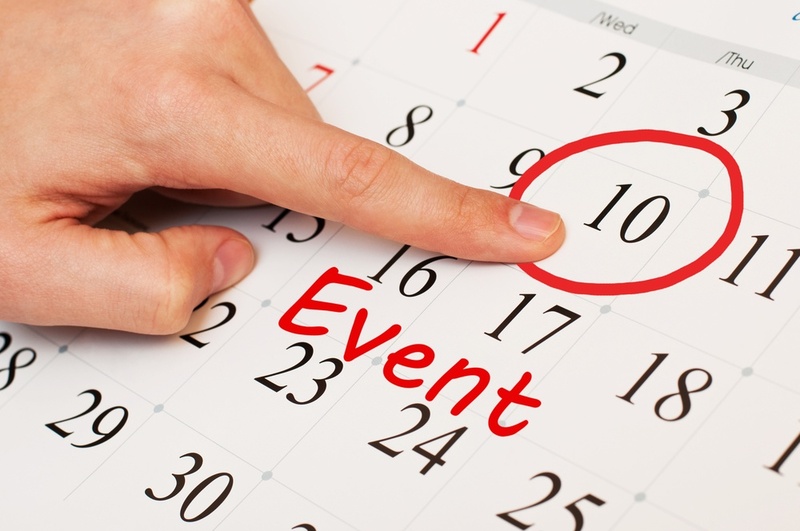 When done correctly, social media can really help you get the word out about your event. Create an event page, send it to everyone you know, and maybe even spent a few dollars to promote any posts about it. Words gets around fast in social media so use that to your advantage. Incorporate Promotional Products! Promotional products are very useful for marketing all kinds of events. You can create promotional products for the event or use them as a way to market it. For the event, you can get some t-shirts made, which are a great idea for a charity run or walk. You can get some water bottles for people to use. You can have rally towels created or even get a fitness pouch made for the participants. Not only will they use them the day of the event, but they will also continue to use them throughout the year which can help you with marketing for consecutive years. For other promotional product ideas for your charity event, visit the Promotion Pros website. We will find the best product to suite your marketing needs! There are plenty of opportunities for you to introduce potential clients to your business. One is to use promotional products to highlight the role your company can play in special occasions or events, holidays, or seasons of the year. While most every business has the standard coffee mug, water bottle, pen, tote bags and calendar stacked in a closet as giveaways, have you considered the benefits of designing a promotional calendar to let your staff know what to give out and when? Unique promotional items can be a wonderful way to attract business. But if you are running on a tight budget (and who aren’t these days), you will want to be sure that every time you reach for those promotional items, it is going to be effective. So how can you ensure that you are getting the most bang for your buck? When choosing promo products, think about whom they are for: vendor vs. customer. This is very important to ensure that your products are effectively showcasing your business. For instance, if you are going to a trade show, you will want to stock up on things like magnets, pens and tote bags that vendors will use. After all, using one of your logo pens while they are filling out purchase orders will send a gentle reminder of who to go for specific items. Customers, on the other hand, may be more apt to remember your name if you give them something a bit more specific. For instance, if you own a pet supply store, putting your logo on a dog bowl or bag dispenser may keep the name of your store in the forefront of their mind since they will see it every day. Spring: as the weather warms in much of the country people are beginning to head back outdoors. Think of springtime activities when you consider what promotional products to give away. For instance, seed packets are popular this time of year as are gardening tools, DIY kits, etc. Summer: warm weather means people are outdoors more. Consider putting your logo on summertime items like sunscreen samples; sunglasses; visors; hats; cooler bags or vacation-style items. Autumn: harvest is the time to think back to school Halloween and Thanksgiving. Backpacks, sling backs, planners, and even school, supplies are all good giveaways this time of the year. Winter: colder temperatures often means people are stuck indoors or even sick. Hand sanitizer, games, warm soup mixes, etc. can all be used to showcase your business. The key to setting up a wining promotional calendar is to think about the events holidays and special locations that coincide with your particular type of business and design certain promotional giveaways around them. Planning out the year ahead can help you use your promotional products more effectively, as well as come up with some unique promotional products that can be used for specific events. Call Promotional Pros today to see what unique giveaways they have available and to design a strategy that will work in the months ahead.